Our Bedding mill offer extremely marvellous Cream bolster pillow case that will compliment both traditional and modern decor. The soft cream colour of this bolster pillow case will create a soothing aura in your bedroom. Made up of high quality polyester and cotton blend, our lavish cream bolster pillow case will give you enormous comfort and a good night's sleep. Available in ample of sizes, our bolster pillow case will go perfectly well with your king size beds. 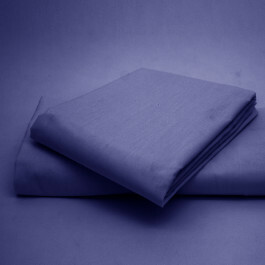 Being highly durable, you can frequently machine wash and tumble dry this pillow case.